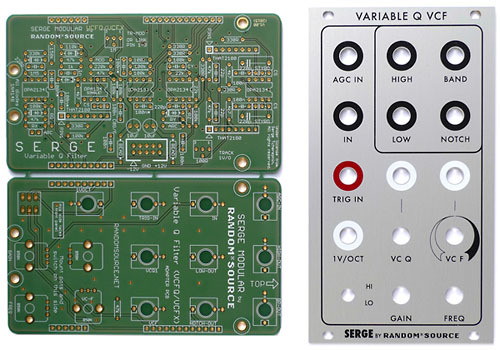 The Serge Extended Variable Resonance filter (VCFQ) is probably the most famous filter of the Serge system and one of the essential Serge modules. 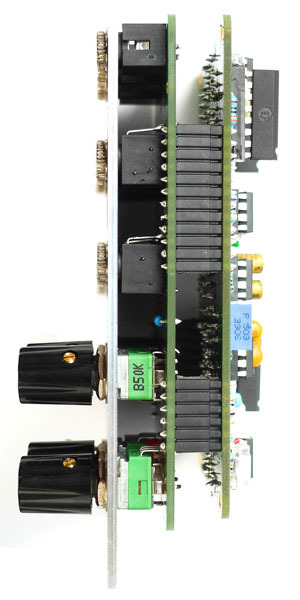 It is an excellent, extremely versatile general-purpose VCF that provides simultaneous low-pass, high-pass, band-pass and notch (band-reject) outputs combined with unique flexibility. 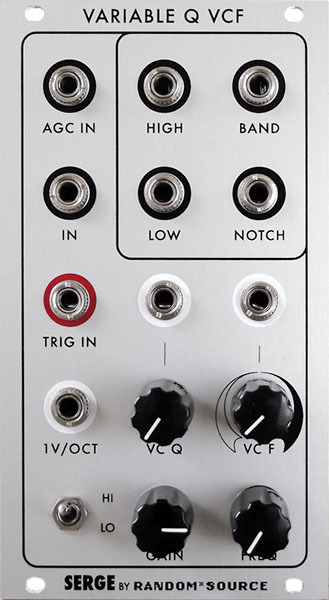 Its trigger in, LOW mode and self osciallation allow a variety of uses from Oscillator to VC processing. 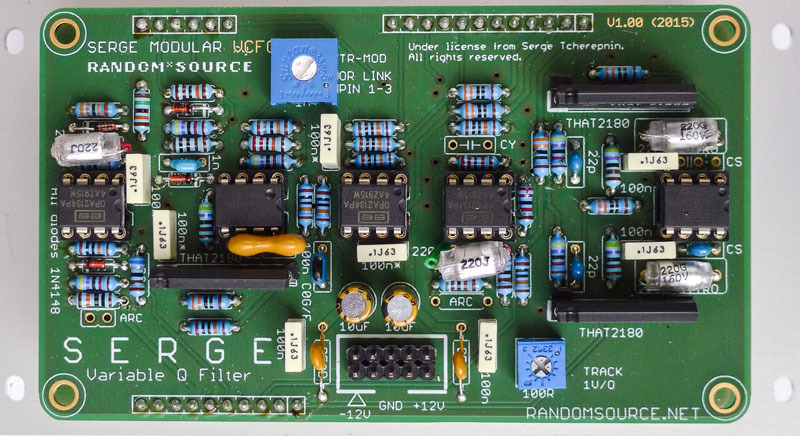 Now - for the first time ever and licenced by Serge - the VCFQ is available as DIY kit for Euro. 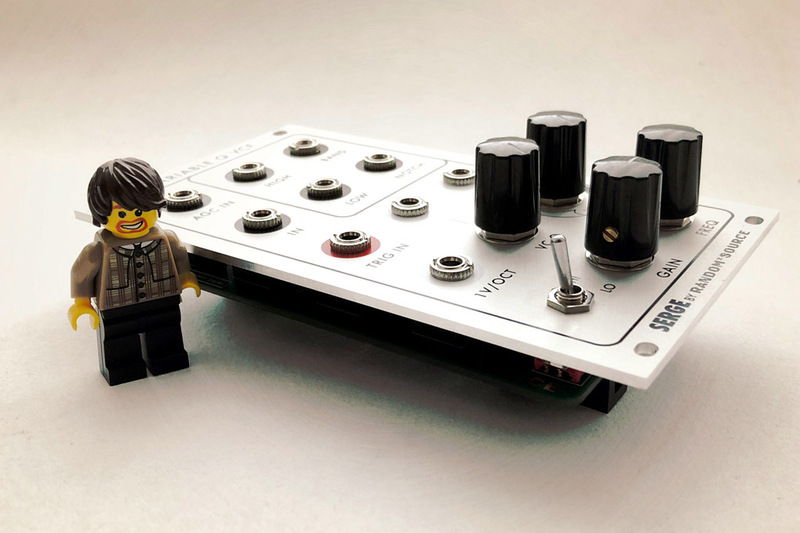 The VCFQ is available either as a complete module (superslim, SMT) or as a DIY Kit (through-hole), containing front panel and pcb set, no other components - not a "full kit"! ).